AB de Villiers is one of the most successful batsmen in the history of the Indian Premier League. After playing for the Delhi Capitals for three seasons, he moved to the Royal Challengers Bangalore and has never looked back. In 129 innings, he has scored a total of 3953 runs and is expected to enter the elite 4000-run club in the 2019 edition. In the past 11 seasons, he has made 28 half-centuries and 3 centuries. Having cleared the boundary ropes 186 times, he is also the joint second highest six-hitter in the tournament. The South African has an insane strike rate in excess of 150 and over the years, he has played many crucial innings for his franchises. 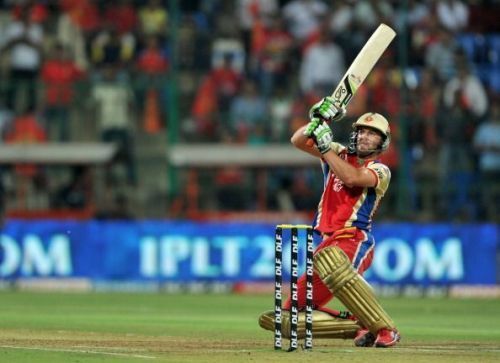 In this article, we take look three of his innings in the past 11 seasons of IPL. Chasing down a target of 156 set by the Sunrisers Hyderabad, the Royal Challengers from Bangalore received an early blow. Bhuvneshwar Kumar dismissed both Parthiv Patel and Virat Kohli in the second over of the chase. In the seventh over, RCB lost their second opener, Chris Gayle, and were in deep trouble as they lost three wickets for just 38 runs. At this moment of crisis, in walked AB de Villiers who was determined to take his side home. Even as Bangalore lose Rilee Rossouw and Yuvraj Singh, the South African batsman did not lose heart. Due to regular fall of wickets, RCB managed to score only 97 in 15 overs and needed 59 runs off the last five overs. With the surging scoreboard pressure, ABD took matters into his own hands. He hit a total of 4 fours and 5 sixes in the last five overs. He took a particular liking for his countrymate Dale Steyn and hit 24 runs in the penultimate over bowled by him. As a result of his 41-ball 89, RCB won the match by 4 wickets with one ball to spare.